forum.419eater.com :: View topic - Russian Scammer Babe Swimsuit pictures! 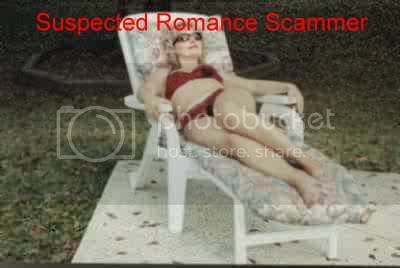 Russian Scammer Babe Swimsuit pictures! Post your Russian scammer babe swimsuit pictures! Are those of us not doing romance scam baits in the wrong game? No, the russian girls are tedious, and boring, but the pictures are better! Edited the pic. I did spot the reflection but figured you'd have to squint so hard to try to make anything out because of the floor surface you'd go blind before you saw anything. Those last 2 there - are they supposed to be the same girl? One has a tattoo on her stomach, the other one doesn't. I think I can see hair... I mean HER... reflection on the floor. wayneRBW, on the very right of the second photo... Is that the trunk box with money? This is Olga, she is engaged to a concrete block.